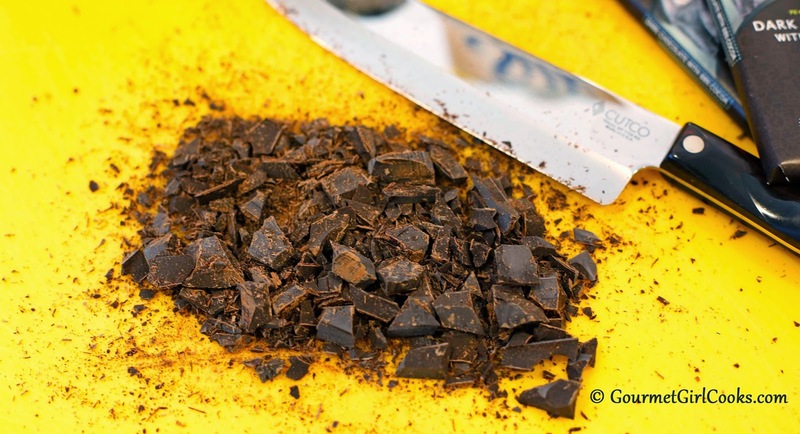 Wow ... this looks and sounds so wonderful ... Cocoa with an Attitude! I haven't had hot cocoa for at least a year, and the other day I really wanted some. Last time I made it with almond milk and was underwhelmed. 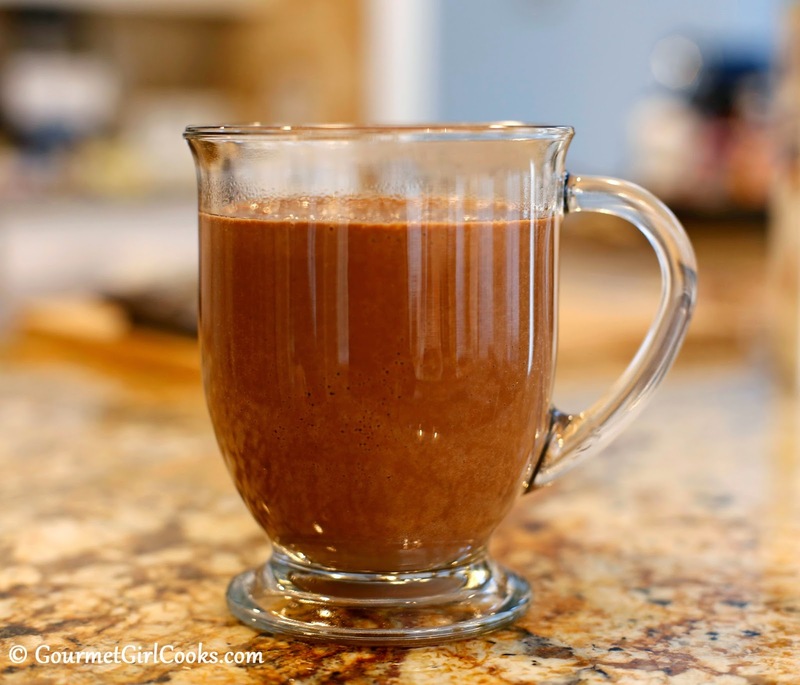 I didn't feel like buying a whole 1/2 gallon of full-fat milk just for a couple of cups of cocoa, so I decided to go ahead with almond milk and see if I could tweak it. I even cooked it on the stove and everything. Same result ... underwhelming. 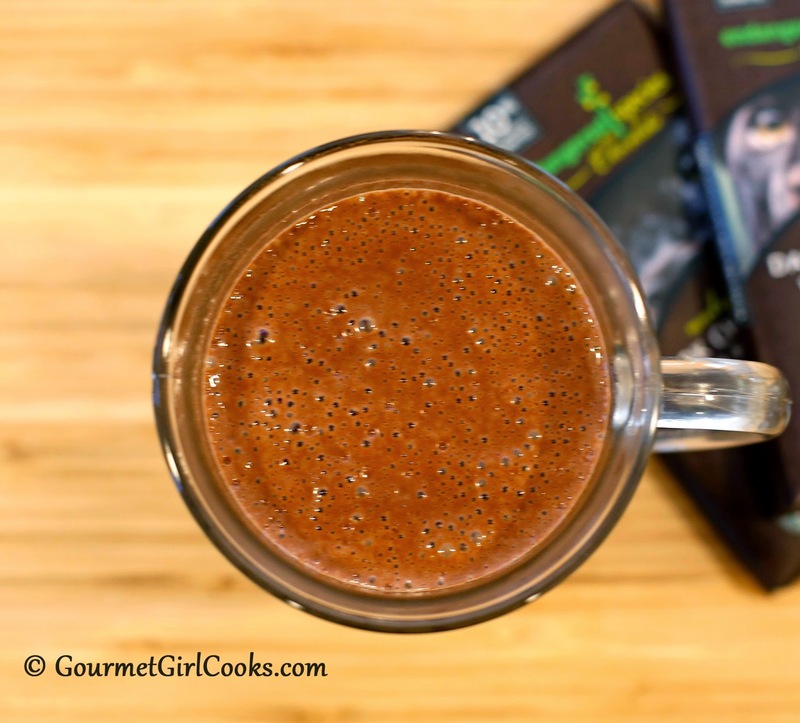 Now that I see your recipe, I think the chopped chocolate and the cashew butter would improve it substantially! I've never tried making nut milk before. 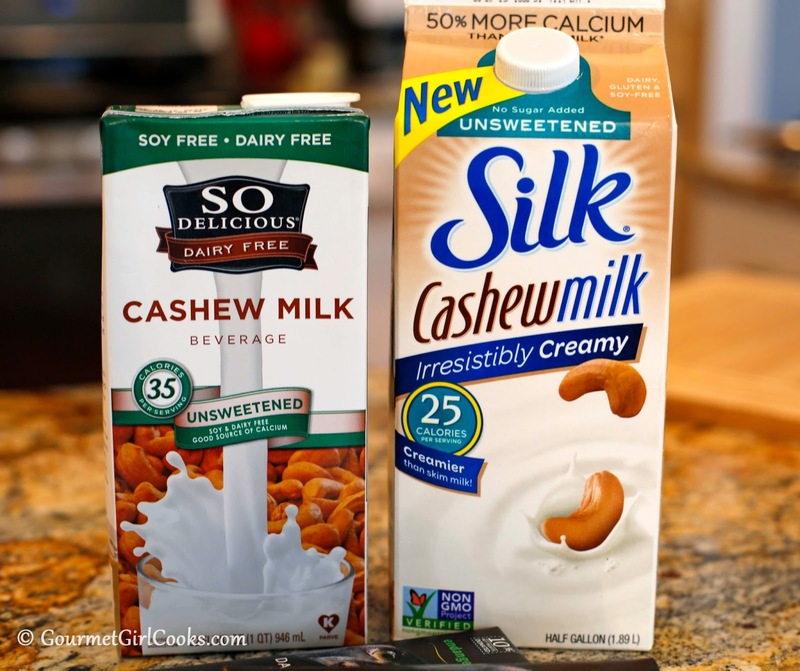 I was actually surprised at how dark 1-1/2 ounces of chocolate made 2 cups of cashew milk. I think I could have gotten away with less and had it be plenty enough "chocolatey"...but the added cashew butter gives it that little extra rich body so it isn't thin. I recently made hot chocolate with Almond Milk for the first time. WOW! 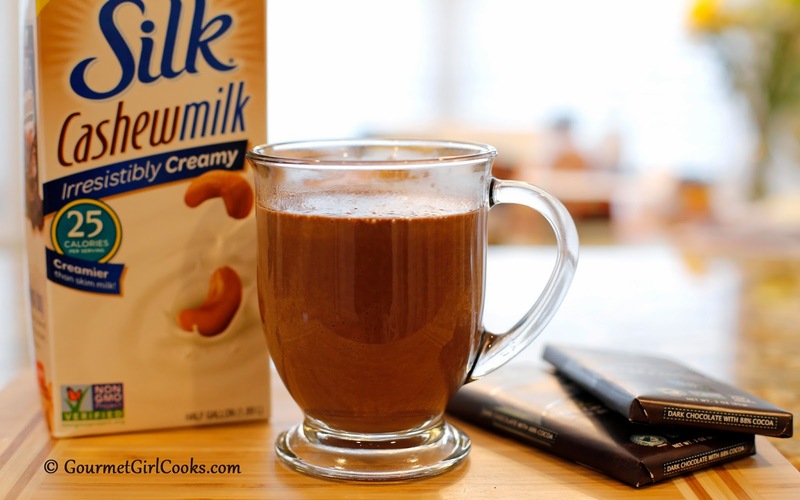 Nut milks add a great taste dimension to the hot chocolate. I didn't think of adding almond butter to it. Now I am thinking maybe a bit of peanut butter -with the chocolate would make a lovely taste treat. This recipe is delicious. After seeing the recipe posted, I knew I'd have to try it. My husband liked it as well. It is a keeper. I wasn't hungry for dinner tonight, but it is so record- breakingly cold that wanted warmth and comfort and I had read your recioe earlier in the day, so I made your recioe up with a few changes. Glad you were able to find it. I, too, wish that they would sell it in 1-quart containers opposed to the 1/2 gallon cartons.